Tired of the same old eggs? This recipe is from Make it Paleo by Bill Staley and Hayley Mason. The whites and yolks are separated, then the whites are beaten and combined with unsweetened coconut. 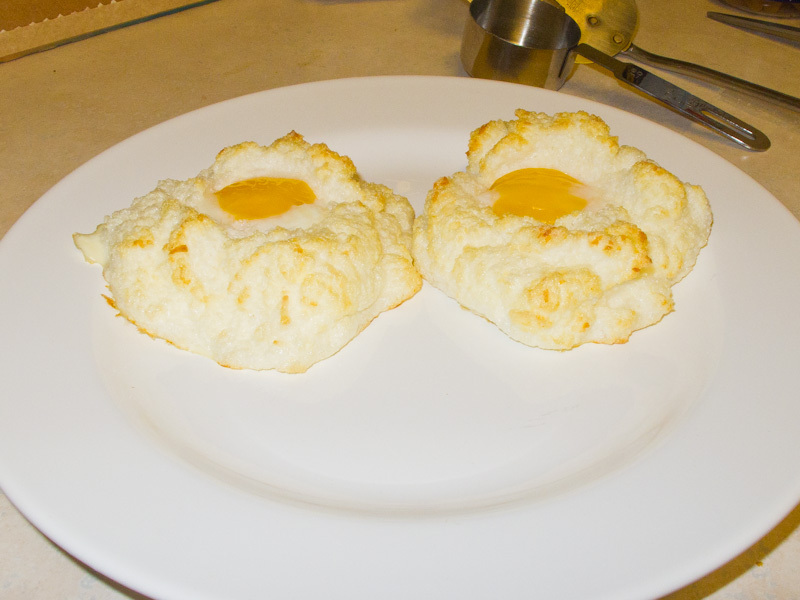 The yolks are nestled into the resulting mounds and the assembly is baked until browned. The yolks turned out about medium and the dish was a welcome change from the same old eggs. This entry was posted on December 17, 2011 at 10:57 am and is filed under Food, Paleo-Primal. You can follow any responses to this entry through the RSS 2.0 feed. You can leave a response, or trackback from your own site.